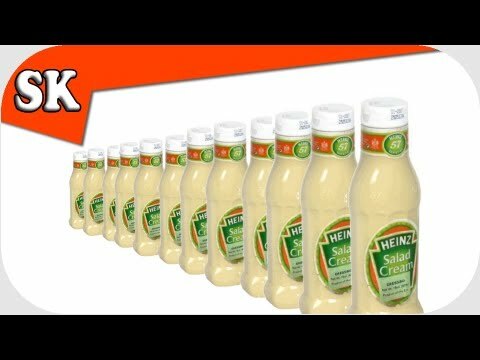 There are many recipes for Mayonnaise but the English have a penchant for their very own version called Salad Cream. It’s sweeter and tarter that Mayo and that is why they crave it in their cheese sandwich or the base for any great coleslaw. I must admit I like it myself but wherever I have lived it is always sold as an expensive import in tiny jars. So I took to experimenting until I produced this, a passable equivalent. What do you think? Make it and see. If you want to adapt it then mess with the sugar, vinegar and mustard balance, to get it just the way you like it. You will need the Mayonnaise from above. and an optional teaspoon of Mustard. If you are lucky enough to be able to get English Mustard Powder, use one teaspoon of it instead of Dijon.